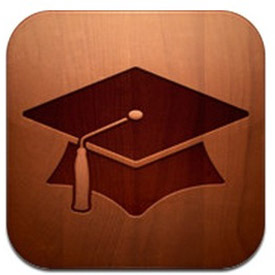 Conversations: Learning and Growing: iTunes U for Me? In an effort to test out how I would use iTunes U in the classroom, I decided to do a practice class for fifth graders. The topic I chose to work with is one we are currently diving into, and the resources are ones that I would be utilizing in the classroom in a menu-based approach. I opened up the course to my fifth graders as well as students in my shared Edmodo classes. So, I'm hoping for a nice student population to work with this course. I'd really like to have some professional input on this course. I'd like ideas on how I can make this specific course better, as well as some management ideas. I have a class set of ipads that my students use. Many of my students have iPods and iPads at home. So, some are using their personal device at home to test out. But, I'm trying to work through the management of using iTunes U in a class setting with the 26 shared iPads. Thanks! I appreciate all the help I can get. How is this going so far? Is there a place to have conversation / ask questions? I havent had a chance to play yet. It seems like itunes u is more of a stand and deliver platform... What have you found? The format is super easy to build and implement. I like the ease and professional quality. But, the tool seems to be beyond my needs. It is like asking an excavator to dig a hole for you when you actually would do fine with a shovel. So, would love to explore the use at higher level.